May 2009 - Humanities IDEAS: Inclusion Diversity Equality Acceptance Solidarity For All Humanity ! For those bad days, stressful days... just click and print out as needed, fill in accordingly! Visit Get Over It Day for the Official Get Over It Day Poem, History of Get Over It Day, and much more! And remember, It's never late to "Get Over It"! 1"Members of Quilters of South Carolina have created one-of-a-kind bras for Breast Cancer Awareness. The exhibit consists of fifty original works of art which are unique, entertaining, humorous, and beautiful to make the public aware of breast cancer, to memorialize those lost to the disease, and to honor survivors. This exhibit will tour SC until Oct '09 at which time individual Artful Bras will be auctioned and the proceeds donated to the Best Chance Network, a program that helps women ages 40 to 64 who need to be screened for breast and cervical cancer, but do not have insurance or have insurance that only covers hospital care, and who meet certain income guidelines. 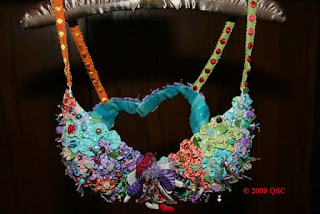 The bras come prepared for display on their own hangers and are available for exhibit across the state of South Carolina. The exhibit is available until October of 2009." Additionally; "QSC has produced a CD/PowerPoint presentation of the ARTFULL BRA PROJECT for purchase by individuals and groups alike. A narrative of the inspiration behind the construction of each entry will provide meaningful insight and share with the viewer poignant memories of loved ones who have survived and those we have lost to breast cancer. A minimum donation of $35.00 for each CD purchased is required. Funds go to Best Chance Network, which provides services and screenings for uninsured women who have been diagnosed with breast or cervical cancer."  "Quilters of South Carolina began in February 1994 with a group of women with a big love of quilting. The first meeting was held in Columbia. Our first president was Helen Fairchild. We have since grown to almost 700 members from around the state as well as neighboring states." 1As part of the U.S. Army's Task Force Ironhorse, the 4th Infantry Divisionwas deployed in Iraq for most of 2003, participated in the capture of Saddam Hussein in December 2003, and saw many of their comrades killed and wounded in the violence that followed the end of major combat operations. In mid-2003, while the 4th Infantry Division was headquartered in Tikrit, Saddam Hussein's hometown, Command Sgt. Maj. Charles Fuss, the division's top noncommissioned officer, headed up a project to commemorate the unit's dead and conceived of a memorial featuring the figure of a forlorn soldier kneeling to mourn before empty helmet, boots, and rifle — an array of objects that traditionally represents a fallen compatriot. As the work neared completion, Sgt. Fuss and the division's commander, Maj. Gen. Ray Odierno, decided it needed a clearer connection to Iraq. The general suggested adding a small child to symbolize Iraq's new future… After four months' worth of night and weekend labor, Mr. Alussy completed his assignment, and the statues were installed in an entranceway inside the 4th Infantry Division's headquarters in Tikrit. In February 2004 the statues were flown to the 4th Infantry Division Museum at the unit's home base of Fort Hood, Texas. 2The statue arrived at Fort Hood's Robert Gray Army Airfield Feb. 16, along with the first 60 soldiers in the task force to redeploy from Iraq, said Capt. Charles Armstrong, secretary of the general staff for the rear detachment. Task Force Ironhorse soldiers donated the $18,000 to cover the cost of the statue, created by an Iraqi sculptor from the melted-down remnants of statues he had been forced to sculpt for former dictator Saddam Hussein, said Maj. Josslyn Aberle, public affairs officer for the 4th Infantry Division at its Iraq headquarters in Tikrit. The earliest Mother's Day celebrations can be traced back to the spring celebrations of ancient Greece in honor of Rhea, the Mother of the Gods. Unfortunately, to date war continues perhaps as a necessary evil and has been compounded to include women, many of whom are Mothers. Today carnations are still the official flower of Mother's Day. "The International Mother's Day Shrine and Museum will preserve, promote and develop through education, the Spirit of Motherhood, as exemplified by the lives of Ann Maria Reeves Jarvis and Anna Jarvis, and the institution of Mother's Day that they established." For 55 years the Tri-State Defender Newspaper published in Memphis, Tennessee and founded by John H. Sengtstacke (publisher of the Chicago Defender); has been “1one of the longest, continuously-published African-American papers in the United States”. In addition to informative African-American news and having been active in the Civil Rights Movement; the Tri-State Defender also annually honors “Women of Excellence”. On March 5th; Tri-State Defender published an official nomination form. By the end of the month; Tri-State Defender began their selections from numerous nominees. Then on April 24, 2009 at The Tower Room, Clark Tower in Memphis, Tennessee; these 50 exceptionally influential African-American Women were honored! click to read the full story by Florence M. Howard at the Tri-State Defender Online. Artists may have found a way to solve their insatiable hunger and appease ours. During the year 2005 in Miami, "visitors to an international art show were invited to place flavored strips representing paintings and photos on their palates. Visitors to Visionaire art magazine's "taste bar" were offered postage-stamp-sized strips that dissolve like film breath mints. They were developed in conjunction with artists, and the artwork paired with each flavor was displayed menu-like above the bar." read full article. Naturally the flavored strips were as diverse and controversial as art itself can sometimes be. "It's very Willy Wonka," said John Steele of Visionaire, likening the exhibit to the scene in Roald Dahl's "Charlie and the Chocolate Factory," where a character experiences a three-course meal in a stick of gum." I don't know what came first the chicken or the egg, paint or canvas, or the Visionaire and New York-based International Flavors & Fragrances Inc. or First Flavor, Inc. I don't know if any or all of the companies are related, helped, or influenced the other. Notably though, in the year 2005; "First Flavor was founded by marketing entrepreneurs and innovators with over 100 years of combined experience building companies valued at over a billion dollars. Working with our strategic partners, industry leaders in the areas of flavor science and marketing". Nevertheless; I think Artists have gotten the raw end of the deal. Seems the Artists involved in the Miami exhibit, at least helped to advance the concept of flavored strips. And so the question remains, are some Artists left to starve once again? If so, I recon they can only hope to find disposed of magazines. Perhaps inside will be First Flavor's "Peel ‘n Taste flavor strips". These "are edible film strips (similar to popular breath strips) which are flavored to the taste experience of a food or beverage brand. Each strip is packaged in easy-to-open, tamper evident foil pouches that ensure a quality product and safe trial experience." Of course, this is to "enhance" advertising not Artists. Note, the Peel 'n Taste Marketing System is "using patent-pending technology." 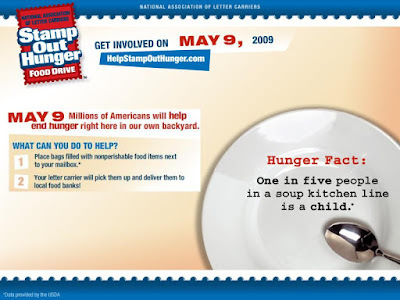 Leave food donations by your mailboxes on Saturday, May 9th!